These were the hot topics about the companies, foods and consumer behaviors that shaped and shook up the marketplace this year. Which will carry the heat into 2019? Aldi, Amazon, Blue Apron, clean label, coffee flour, convenience in meals, gluten-free, GMOs, income inequality and food insecurity, all things organic (and natural), plant-based foods and changing shopper behaviors were among the most popular stories and infographics in our newsletter this year. There was enthusiastic interest in stories about how technology and online retailing are continuing to disrupt and transform the food and beverage marketplace. 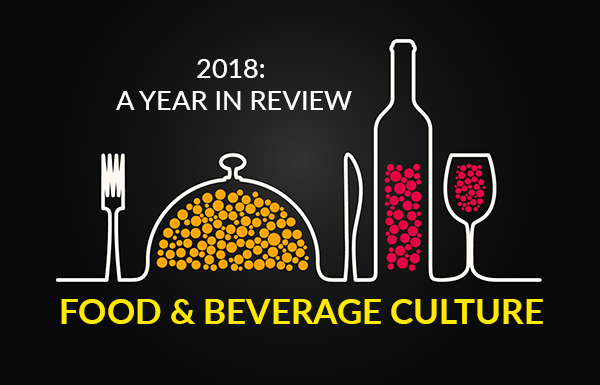 From our vantage point, however, we believe the highlights of the year once again coalesced around consumers as change agents as they expect more from food and beverage manufacturers, retailers and restaurant operators. Here, then, is a baker’s dozen of the most popular topics from this year. The following list was prepared from a review of the most widely viewed articles and infographics in this newsletter in 2018. While the list is indicative of what caught your attention this year, our analysts weighed in and rated each topic on how likely it will be a hot topic in 2019. The forecast rating scale is one to three red chili peppers. One red pepper means the story will have mild interest; three red peppers means the story will carry the heat into 2019. Aldi and Lidl: Food Retailing Innovation or Just Keeping Up With Shoppers? How hot is this topic for 2019?